Great New Deals From Jane! You are here: Home / Great Deals / Great New Deals From Jane! Earring Grab Bag – was $24.99 – Now Just $6.99 PLUS FREE shipping! This is the grab bag for the accessory-obsessed babe in your life! This grab bag makes the perfect gift! These earrings come in multiple styles and colors! The grab bags come with 3 pairs of earrings! Half the fun comes with the surprise! 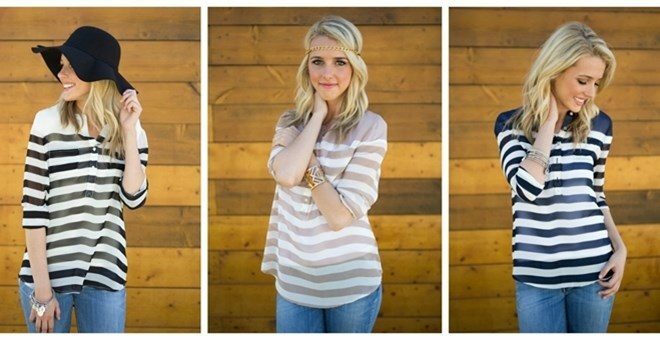 These chic tops come in 3 basic colors, allowing you to pair them with almost anything! Pair with colored skinnies for a trendy look, or white jeans for a classic style. They are light weight, breathable, and have sleeve tags if you want to roll them up on a hot day, or wear them down for a cool night out. This adorable striped maternity tank top is the perfect transition piece from spring to summer. With a racerback and pocket front detail, this top features all of our favorite things. Style this maternity top with maternity jeans or shorts for casual everyday wear. A striped maternity tank top. Rounded neckline. Racerback. Pocket detail on left bust. Skinny jeans! What more could you ask for? And stretchy, tie waist material? It doesn’t get much better. These jeans will be a FAVORITE this Spring and Summer! Throw on with your favorite basic tee and you’ve got yourself the perfect outfit for any occasion! The length is perfect for short OR tall.. You can roll them up into capri length or keep them down for a cropped or full length look! So many ways to make them the most perfect skinnies in your closet! 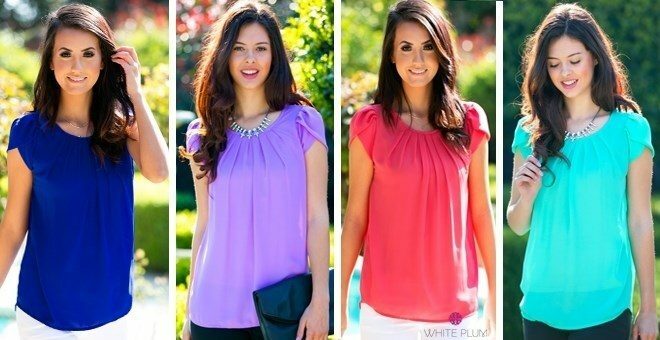 Choose the Pleated Tulip Sleeve Top whether you’re going for classy, casual, or somewhere in between! Feminine front pleats and tulip style sleeves adorn this relaxed fit find. Its semi-sheer fabric and array of spring hues make it the perfect layering piece for this season! Customize it to your liking by pairing it with jeans, leggings, or skirts!